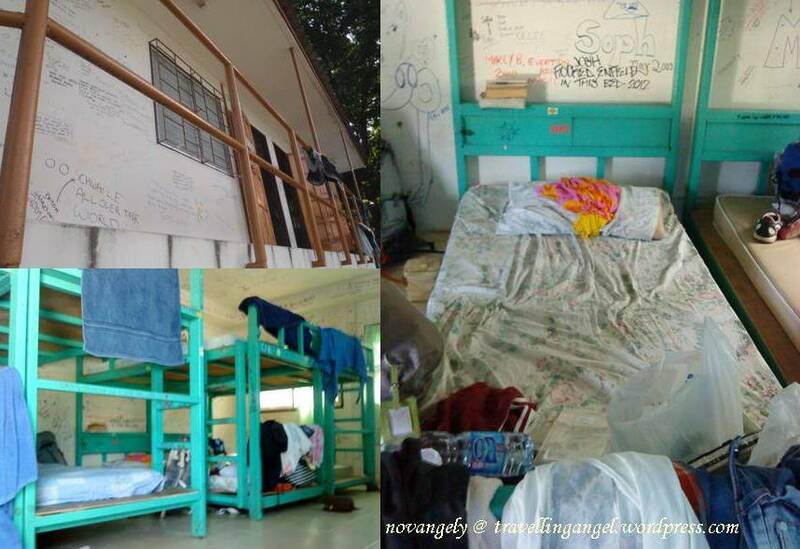 room rate : I got 300baht/nite/bed in a 14 beds mixed dorm. I know there are many travelers who would love to stay here. Me, I stayed here because I was exhausted to find other place. I’ve walked to the left and right side of the island and mostly the accommodation were full or above 900baht. It is a high climb to my dorm with 14 people inside, so many stairs. The room is very average, the bunks are close to each other. So close that you’ll see the stranger sleeping next to you.. Good thing, my strangers were cute LoL!! There are many recommendation and notes from previous guests written all over the wall and ceiling. Some are good, some are not.. I wrote my signature there ^^ by my bed . Imo, their room is below my standard. But you can enjoy an awesome view of Phi Phi island from my dorm. 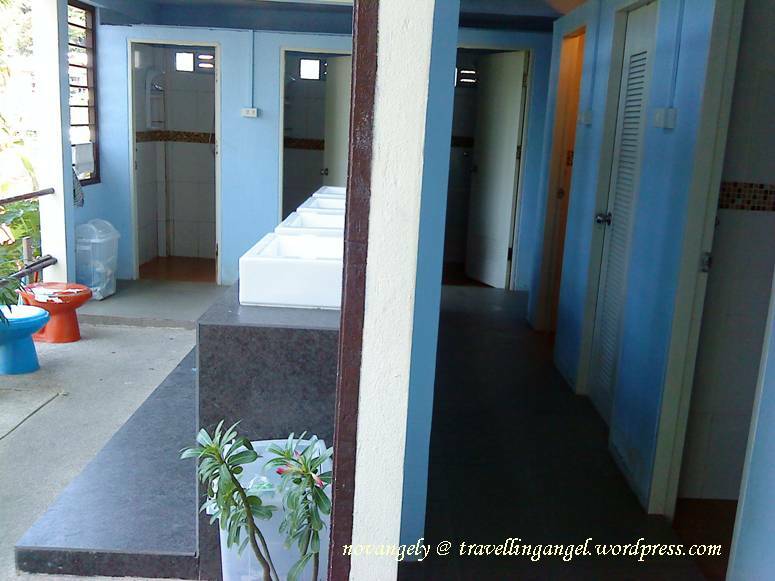 Later on, I found out that their bathroom/toilet is very nice and clean. < Bathroom and toilet are the most essential things!! :p > So if you asked me if I wanna stay there again, my answer would be ‘YES! !’.